Pooling your savings in order to afford a swimming pool and entertainment area is an investment that, most people agree, pays off. There are undoubtedly few things more relaxing than enjoying a cool drink in a shaded area while gazing at your pool in the Summer months, or getting that refreshing buzz from a dip first thing in the morning before the strong midday heat kicks in. 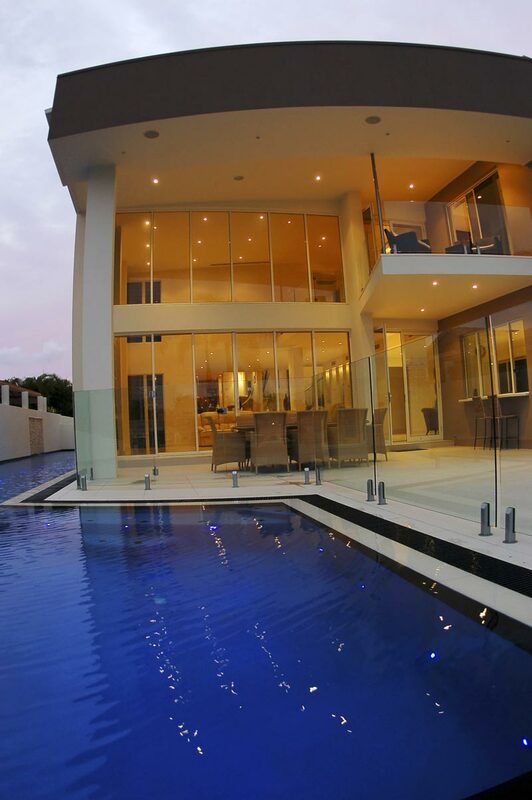 Luckily Sydney pool builders like Blue Haven Pools offer a huge range of aesthetically stunning pools and spas to make your backyard a visual treat and a source of endless swimming and relaxation. But during the Winter months, it seems many pools go into hibernation. Why not get more bang for your buck and have your pool pay itself off all year round with a pool heater? With just a few additional accessories, you can ensure your pool gets just as much (if not more) use than your couch this winter! Fire pit: Rugging up next to an outdoor fireplace with a glass of wine is the perfect way to unwind after a long day; it therefore comes as no surprise outdoor fire pits have become hugely popular accessories to outdoor entertainment areas. The range of fire pits is wide, from more basic models to more elaborate designs, there’s something to suit every home. Remember to follow the fire pit manufacturer’s instructions and keep the pit at least two metres from the home. Outdoor brazier: Whilst a much more modest accessory than fire pits, braziers provide an effective solution for heating up a pool-side entertainment area on colder days. And priced form just $10 each, they’re also friendly on the wallet! Remember to ensure fire safety is paramount at all times; follow all manufacturer instructions. Outdoor heaters: Outdoor heaters are another great option that will ensure you get the same use of your outdoor entertainment area in the winter months as you do in summer. With both permanently fixed outdoors heaters (that can be attached to either a wall or ceiling) and portable outdoor heaters available, you are bestowed the flexibility of choice. Adding to this, portable heaters are also made in a wide array of sizes, shapes and styles! Pool heaters: There are a wide range of pool heater types that you can choose from to best suit your pool. With the option of in ground and aboveground pool heaters, solar pool heaters, electric elements and gas and electric heat pumps, you really are bestowed a large breadth of choice when it comes to heating your swimming pool. For more information of pool heaters and other accessories to maximise your outdoor pool setting during Winter, speak to one of the pool experts at Blue Haven Pools on 13 20 25. Otherwise, head online to Blue Haven Pools to view the range of pool and spa designs on offer or request a quote.